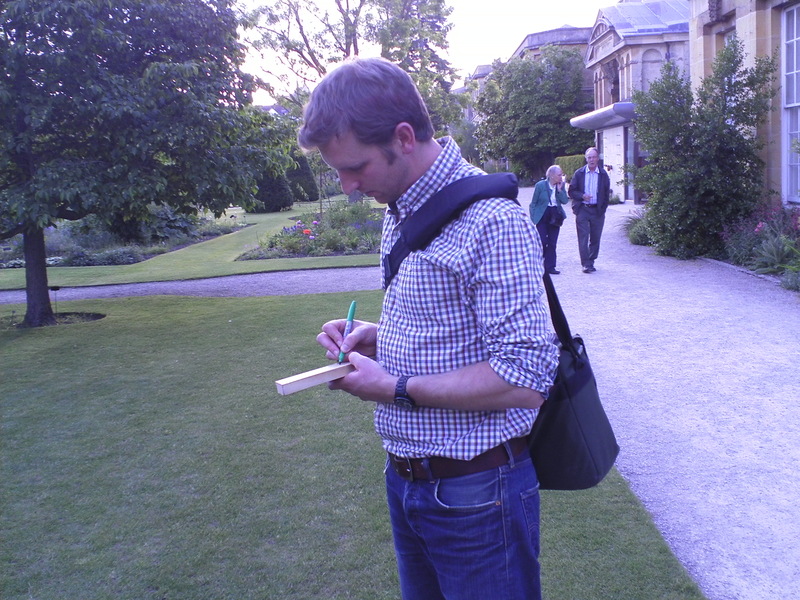 Tom Price is the gardens curator at the University of Oxford Botanic Gardens . I attended a talk at the Daubeny Lecture Theatre (at the front of the Botanic Garden) where Tom showed lots of photos and spoke about his recent visit to Japan. The Japanese archipelago’s defined as one of the world’s biodiversity hotspots and Tom had returned from an expedition there where he, together with Ben Jones from the Harcourt Arboretum, documented species distribution and collected a variety of seeds for conservation in various seed banks. Tom explained about the systems that had been used to map and pinpoint highly bio-diverse regions of endangered flora and stressed the need to raise awareness about threatened plant species. He pointed out that as many as one in five plant species are threatened with extinction; yet endangered plant species do not spring to mind as readily as endangered animal species. After the talk there was a drinks reception in the Oxford Botanic gardens where I was able to intercept and explain to Tom about my project and how I had been referred to see him. He then provided the montage with a plant label that had once labelled a plant called Echium Pininana. He explained that Echium describes the genus and Pininana is the name of the species. The top left hand side of the label says that the plant belongs to the family Boraginaceae and the number on the top right hand side of the label gives a unique “plant passport number”, of: 2007001.2. On googling for pictures of the plant, I learned that it sends out a giant, tapering flower spike four to six meters high and that it is endangered in the wild in its native habitat of the Canary Islands. After providing me with the plant label, Tom then sent me to see Dr Sarah Simblet, who teaches at the Ruskin School of Drawing and Fine Art.